The National Certificate in Workplace Mediation is the benchmark qualification for internal mediators. It is also suitable for any individual who wishes to become professional workplace and employment mediator. Please scroll following table to view hidden data. 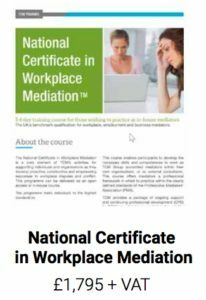 TCM delivers the benchmark mediation qualification for workplace and employment mediators – The National Certificate in Workplace Mediation™. We have been running this OCN accredited mediation skills course since our formation in 2001 and we have trained several thousand mediators who are now using their mediation skills to resolve complex workplace issues. Organisations who have partnered with TCM to train mediators through the National Certificate in Workplace Mediation™ include: HSBC, Royal Mail, BA, TSB, Network Rail, National Express, Marks and Spencer, BT, The Metropolitan Police, The Home Office, DWP and Ofcom, plus numerous other Whitehall Departments, universities, hospitals, police forces and councils. 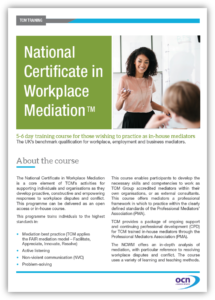 Delegates who successfully complete this course refer to themselves as a TCM Accredited Mediators – thereby demonstrating the highest standards of mediation practice in the UK. Duration: 5 or 6 days (dependent on group size) – one full week or two-blocks. Delivery: Onsite at your premises or open access via The TCM Academy in London. Suitable for: Anyone who has a role that deals with issues in the workplace, including HR and union professionals, business leaders, managers and consultants. Learning outcomes: To understand every stage of mediation, how to handle complex cases and how to secure enduring and constructive outcomes. Trainers: Delivered by TCM’s expert resolution consultants. Delivery: This course is available for in-house delivery or for delegates to attend an open course at the TCM Academy. Cost: £1,995 + VAT for open access courses (early booking discounts are available). Contact us for our latest prices for in-house courses. Why are organisations investing in mediation skills training? Mediation is effective at resolving a range of issues including relationship breakdown, personality clashes, communication problems, bullying, discrimination or harassment. It might be a single employee with a grievance, a disagreement between an employee and a manager, or an issue between two co-workers. Differences between individuals at work can lead to grievances, absenteeism and ultimately loss of valuable employees. As a result, workplace disputes cost businesses tens of thousands of pounds per year. Your organisation may already be committed to mediation and wish train staff to the benchmark standard. If so, this is the ideal course for you. For groups of 8 delegates, the course is delivered over 5 days. For groups of 12 delegates, the course is delivered over 6 days. 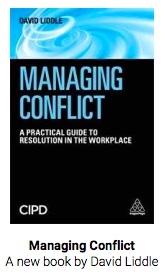 Understand the causes and the nature of conflict at work – recognising the symptoms and expressions of conflict along with its underlying causes and effects. Transform dysfunctional and destructive conflict into functional and co-operative dialogue. Compare and contrast the various conflict management strategies available to organisations and understand their own personal conflict management styles. Understand the FAIR Mediation Model™ including its underlying principles, processes and practical applications. Understand the various stages of FAIR Mediation™ and demonstrate competency in managing the process in a safe and controlled manner. Understand the standards of practice which mediators must adhere to before, during and after mediation. Recognise and develop strategies for overcoming impasse and potential blocks and barriers to the mediation process and be confident in securing a commitment to mediation from the parties. Consider the relationship between conflict, power, prejudice and discrimination; define the role of the mediator in developing a fair and safe environment for positive dialogue. Enhance parties communication skills and develop core competencies in active listening, including the use of questioning, reframing, funnelling, mirroring and summarising. Develop vital problem-solving skills and understand the importance of engaging the parties in joint problem solving to assist them to achieve a mutually acceptable resolution. Understand the role of the mediator in crafting the Resolution Action Plan (RAP) and understanding how to test the agreement to ensure that it will be resilient, and that the parties have the confidence to handle future challenges or issues when they arise. TCM trainers are experts at creating a safe, empowering and challenging training environment. Numerous learning and teaching methods are used during the course and participants develop their knowledge through group discussions, case studies and participation in role-plays. Peer-based evaluation and learning feature heavily throughout the course and this is supported by the course facilitator’s extensive and detailed assessment of learner’s progress. Independent learning and reflection, which takes place outside course hours, will also be assessed. Participants gain expertise in mediation, negotiation, problem-solving and facilitation whilst developing the skills and competencies to work as mediators within their own organisations or as external mediation consultants. Upon completion of the National Certificate in Workplace Mediation™, participants will have developed a highly effective framework enabling them to work as a TCM Accredited Mediator. There are so many so called ‘mediation training providers’ on the market at the moment – it can be confusing to know who to choose. The National Certificate in Workplace Mediation™ was one of the first accredited mediation courses available in the UK. We pride ourselves on delivering a world class course to delegates. Don’t just take our word for it, please click here to read the several hundred testimonials from previous delegates. The National Certificate in Workplace Mediation™ is fully accredited by the Open College Network (OCN) and is delivered by the UK’s top dispute resolution experts. OCN undertake rigorous external verification of the course to ensure it is delivered to the highest standards Following any feedback we receive, the course is reviewed and developed to ensure that it is relevant and applicable to today’s rapidly changing workplace. 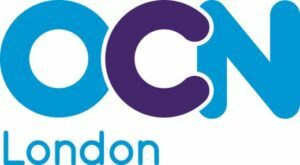 OCN London is a national qualification awarding organisation regulated by Ofqual and the Quality Assurance Agency for Higher Education (QAA). TCM delivers extensive support for delegates on The National Certificate in Workplace Mediation™ before, during and after the course concludes. Open College Network (OCN) accreditation fees. The unique online TCM Delegate Zone™ which includes useful toolkits, check sheets, videos, papers and other resources for delegates. Free copy of the Workplace Mediators Handbook™ for all delegates. One to one coaching for delegates during the course and once the course concludes, as required. Assessment costs and a personal report for each learner. Lifetime aftercare and support for all delegates with TCM’s unique mediator helpline – The Mediator Helpline™. Full access to the amazing resources of the TCM Community for all delegates. Would you like this course delivered as an in-house course? TCM specialises in tailoring all of our courses for in-house delivery. We also design and deliver bespoke courses and training programmes for our customers. If you would like to find out more, please call us now on 0800 294 9787 or complete the enquiry form below and we’ll call you straight back. 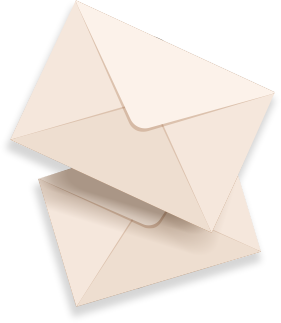 and receive valuable updates and insights about mediation, conflict resolution, leadership, employee relations and HR. Copyright © 2019 Total Conflict Management Ltd. Trading as The TCM Group.